In 1970, the Triumph Motor Company launched a luxury sports tourer to compete directly with Mercedes-Benz SL class models especially in the US market. 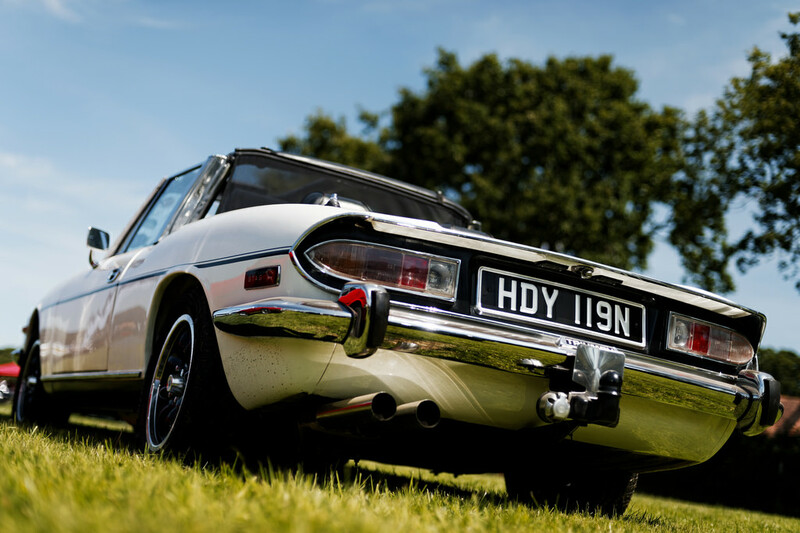 Designed by prolific sports car designer Giovanni Michelotti, the Triumph Stag was born. However, design and production problems meant that the Stag quickly developed a reputation for mechanical unreliability, usually in the form of overheating. In fact, Time magazine rated the Triumph Stag as one of the 50 worst cars ever made. Despite the bad press, the Triumph Stag has become a much loved and desired classic sports car. It is incredible to think that of the 25,939 Stags produced between 1970 and 1977, 9,000 are reported to have survived in the UK (DVLA data states that 7,700 survive either taxed or under SORN). This is due to the thousands of Triumph Stag enthusiasts who have solved the mechanical problems and produced a reliable and prestigious sports car. Many car enthusiasts now look with envy when a Triumph Stag passes by in the street. 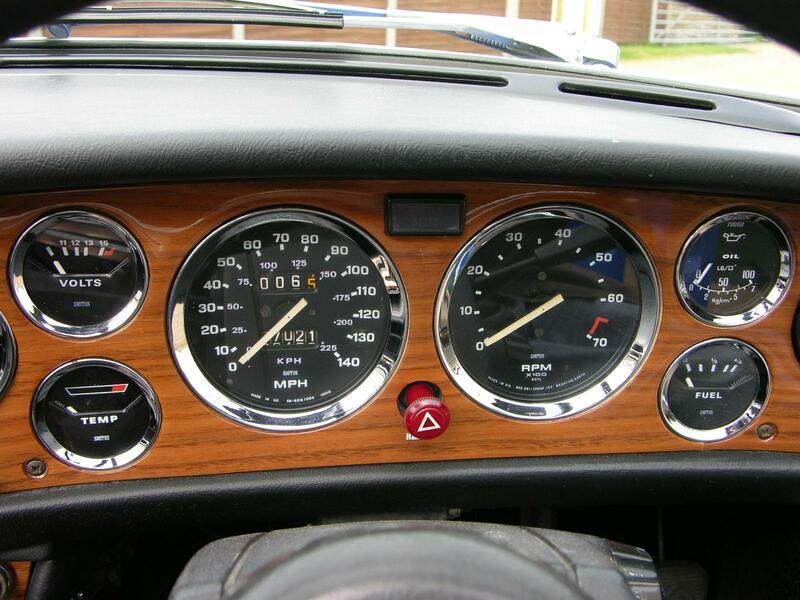 All the gauges were positioned neatly directly behind the steering wheel in a wood panelled dashboard. These SMITHS gauges are still manufactured by CAI in line with the original specification and design, and supplied to Triumph Stag enthusiasts around the world. In 1971, a Triumph Stag featured in the James Bond movie Diamonds Are Forever. This coup raised the Stag's profile in the USA and globally, but was dampened by the continued unreliability. In the movie, actor Sean Connery is filmed driving the Triumph Stag to Amsterdam in the guise of diamond smuggler Peter Franks. The car featured in the movie was a 3-litre V8 model. A 1974 Triumph Stag also made an appearance in the BBC television series New Tricks as the much-loved but troubled car of Detective Sergeant Gerry Standing.